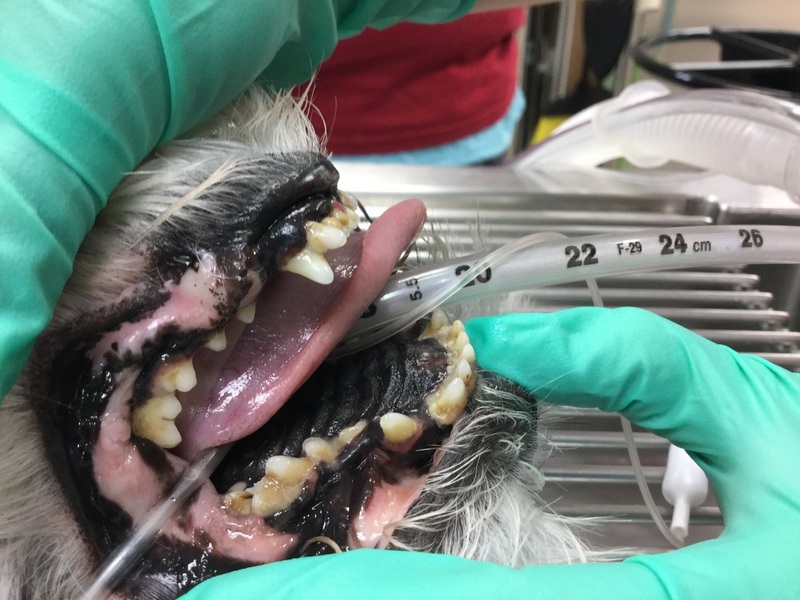 If your pet is already scheduled for a teeth cleaning, please read over (and sign where necessary on) the Teeth Cleaning Consent Form. This will help expedite your pet's check-in to the hospital on the morning of their cleaning! If you have questions about the procedure, please email or call us! 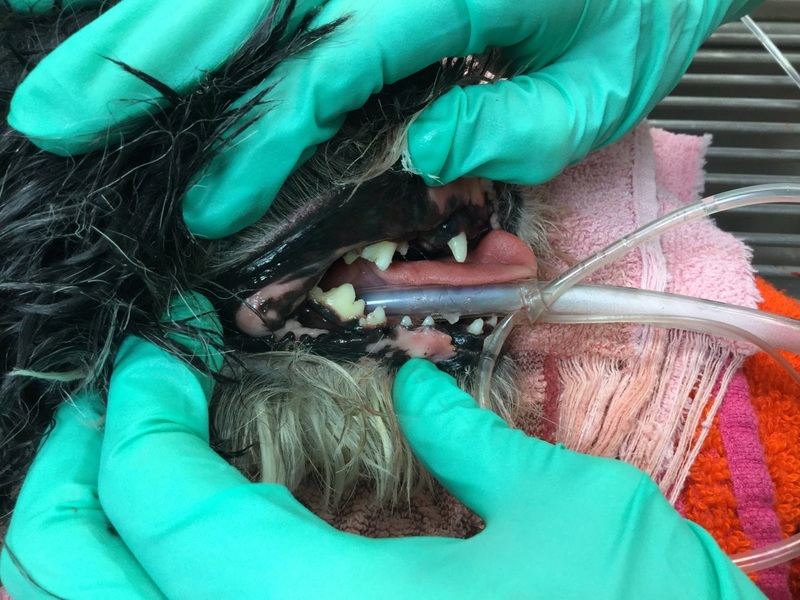 By age 3, 80% of dogs and 70% of cats have some kind of dental disease. Poor oral hygiene doesn't just cause bad breath, it can lead to tooth loss, painful abscesses, difficulty eating, and other serious health concerns involving vital organs! Once your pet’s teeth are clean, routine dental care will maintain oral health and minimize the need for professional dental cleanings. Pets should IDEALLY have their teeth brushed daily using pet-safe toothpaste. While nothing beats regular brushing, oral rinses, dental diets, and dental treats with enzymes and anti-septics can help reduce the bacteria and plaque that lead to tartar formation. No matter what you choose, be consistent and see your veterinarian regularly for check ups. 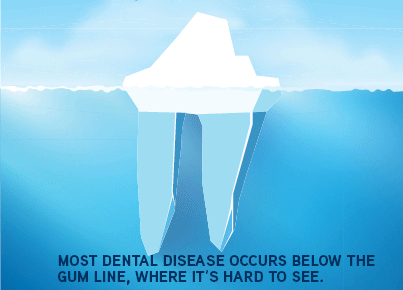 Remember early diagnosis and treatment are the best defense against serious dental disease!